3 Bedroom Detached House For Sale in Sheffield for £400,000. 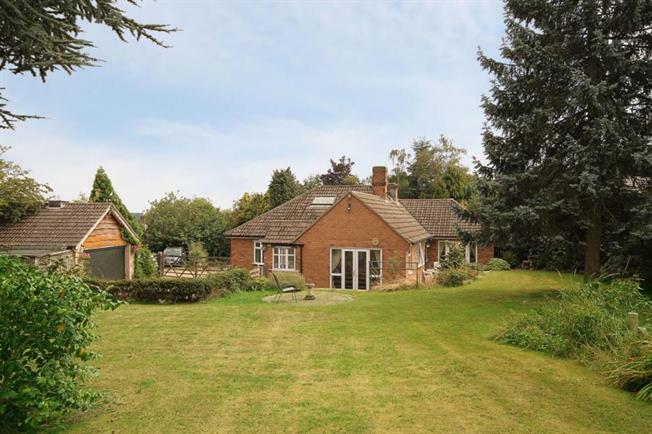 Occupying a generous site of approximately half an acre is this spacious three bedroom detached dormer bungalow, situated just off Hollow Lane, Halfway. The property offers superb scope for extending and could be enhanced by a programme of updating. The generously proportioned accommodation currently comprises an Entrance Porch,Entrance Hall, Double aspect Bay Windowed Lounge, Bay Windowed Dining Room, Spacious Living Kitchen and Utility Room. Also on the ground floor are two good Bedrooms with fitted furniture, a Family Bathroom /W.C. woth an additional Shower room/W.C. On the first floor is a further Bedroom/Office with velux window. The property has double glazing and gas central heating. Outside the substantial grounds are mostly laid to garden but incorporate a substantial Double Garage,Storeroom and parking for several vehicles. The substantial private gardens are made up of lawns ,terrace area,mature trees and shrubs. The property is set well back from the road up a long sweeping drive way. Halfway is a sought after area for buyers of all ages due to its excellent amenities, Sheffield Supertram networks, Schools and its close proximity to Crystal Peaks Shopping Centre. The area boasts excellent local eateries and gastro style restaurants in the nearby villages, superb local walks on the Pennine trail and outdoor pursuits at Rother Valley Country Park. Ideally situated for links to the M1 motorway networks and Sheffield City Centre.